Welcome to 18560 E. Shoreland. This charming bungalow offers true one floor living with the option of expanding to the full second floor if additional space is needed. The existing living space is perfectly appointed. The large living room welcomes you into the home with a beautiful wood burning fireplace and new, neutral carpet. The dining room is also newly carpeted. The recently renovated kitchen includes high end cabinets, SS appliances, counters and beautiful hardwood flooring. The attached two car garage leads directly in to the kitchen making for easy portage from car to kitchen. The family room offers additional living space and access to the backyard. All three bedrooms are amply-sized with hardwood flooring. The two full baths have been remodeled in today's colors and finishes. The newly finished portion of the basement offers additional living space. Plenty of storage opportunities exist in the basement as well. 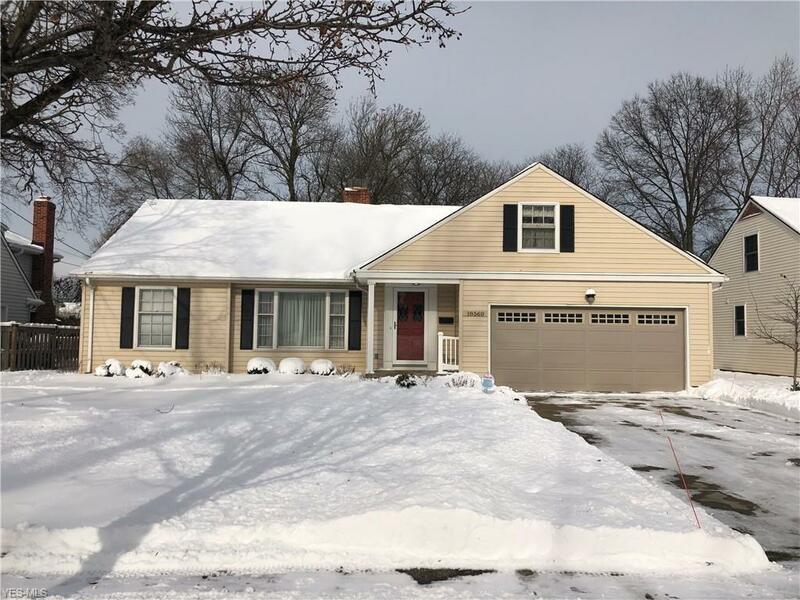 The home is located in the heart of the valley area, steps away from a private entrance to the Metroparks while also being close to highways, shopping, schools and all the wonderful restaurants that Rocky River has to offer. A home warranty is being offered by the seller. This is the home you have been waiting for!